This makes more sense in timing than the GFS ghost it has been showing. Would be cool to see something form in April as long as it stayed away from land and didn't hug the Mexican coast causing problems. May 14th-20th does make much more sense though and seems like a decent possibility. Just a little over a month until the official start! 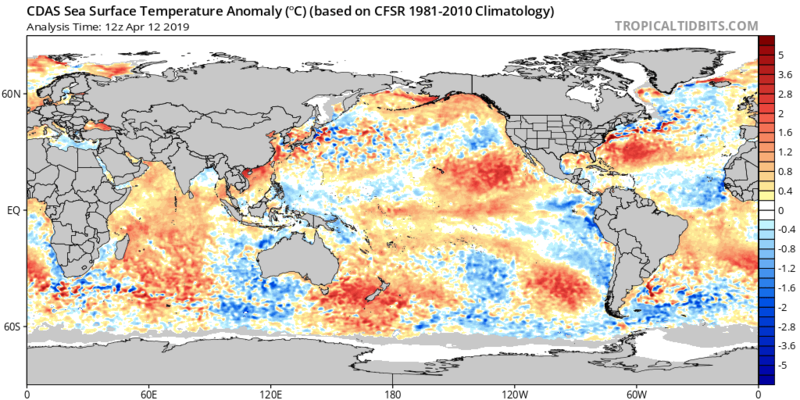 SST configuration and Euro season MSLP configuration for Hawaii looks pretty bad so far. Hawaii just barely dodged multiple bullets last year. Hopefully their luck continues this season. Maybe we have Alvin on early May?